Facility accepts antifreeze, batteries (household and auto), motor oil and oil filters (including agricultural oil), and latex and oil-based paint for recycling and proper disposal (up to five gallons per visit, up to 20 gallons per day). In addition, this facility accepts appliances, mattresses (up to 4 per trip), cardboard, metal cans, clean aluminum foil, color and white paper, glass containers, magazines/catalogs/junk mail, newspapers, paperboard, wooden pallets, and hard plastics #1 through #7. Also accepts Christmas trees for recycling. 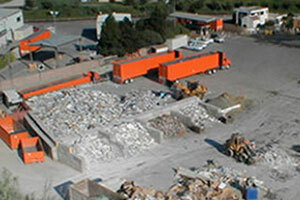 In addition, the facility accepts various types of electronics and small appliances for recycling such as computers, televisions, printers, copiers, fax machines, scanners, multi-purpose machines, CD and DVD players, VCRs, speakers, vacuums, blenders, hair dryers, holiday lights, and toasters. Hours: Wed through Sat, 8:30 a.m. to 5:00 p.m.; closed from 11-11:30 a.m.